Kimberley Airport, situated in the heart of the Northern Cape province, serves this region’s capital, the city of Kimberley. This airport became one of the three existing solar-powered airports in South Africa in 2016, and receives approximately 132,000 passengers per year. Kimberley Airport offers visitors the chance to explore one of the most historic places in the country. Kimberley Airport (IATA code: KIM) is one of the smaller domestic airports in South Africa. Flights to Kimberley Airport are provided by the international airline of South African Airways. Domestic airlines landing at this airport include Airlink and Fly Blue Crane. KIM is a 15-minute drive from the city centre of Kimberley. Book your cheap flights to and from Kimberley Airport online! Kimberley Airport is one of the smaller domestic airports of South Africa, which serves the area of Kimberley. This airport is mainly used by business travellers. It offers tourists the opportunity to discover more of the country’s history, however, with the famous man-made structure, the Big Hole, evidence of when Kimberley saw a huge diamond rush. While it is a domestic airport, Kimberley Airport operates flights to international destinations courtesy of connecting flights. In 2016, it became the third solar-powered airport in South Africa. 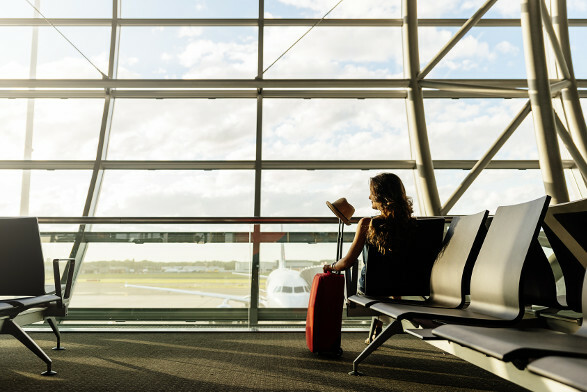 Kimberley Airport offers you the chance to rest your feet and satisfy your appetite by spending an hour or more at a pub, located in the arrivals terminal. Please take note of the baggage restrictions at this airport. A VIP lounge is available at Kimberley Airport. For more information and booking details, contact the information desk via telephone at +27(0)53 851 1241. Kimberley Airport includes a wide selection of facilities, including ATMs in the main terminal building, chapel and prayer rooms, a conference room, ramps and elevators for disabled visitors, Wi-Fi internet, porters and restrooms. Diggies Lodge This 3.5-star motel is a 5-minute drive from Kimberley Airport. This charming establishment includes amenities such as an outdoor pool, a well-tended garden, laundry service and barbecue grills. Additionally, a free full breakfast, free Wi-Fi and free parking are available. Protea Hotel by Marriott Kimberley This inviting 4-star hotel is a short 10-minute drive from the airport. Amenities include breakfast, a conference centre, 24-hour front desk, a computer station, laundry service, a restaurant and a bar/lounge. The hotel also offers free Wi-Fi and free parking. Aletheim Guest House Collection This quaint 4-star guesthouse is a brief 5-minute drive from Kimberley Airport. It includes several amenities, such as an airport shuttle service, air conditioning, ATM/banking services, a self-serve laundry service, breakfast and multilingual staff. Free Wi-Fi and free parking are also available. You will need to purchase foreign exchange within 60 days before departing South Africa. There are no foreign exchange facilities at Kimberley Airport, but visitors can purchase foreign exchange at the Kimberley branches of Nedbank and Standard Bank, which range from a 10 to 15-minute drive from the airport. The parking options at Kimberley Airport for your usage include open-air parking bays, shaded parking and lock-up garages, for short and long-term parking. Kimberley Airport is situated 6 km south of Kimberley’s city centre. Taxis, airport shuttles and car hire options are available to transport you from the airport to your destination.